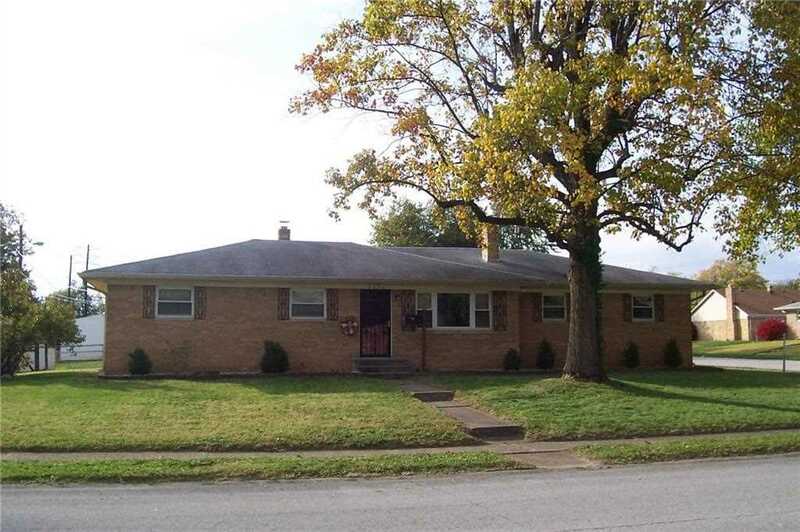 Welcome to One of the Larger Homes in this Popular Speedway Neighborhood! Boasting a Large Eat-In Kitchen, Three Generous Bedrooms, Two and Half Baths, Large Basement and Two Car Garage. Entertain Friends and Family in the Large 3-Season Room or Cook-out on the Backyard Patio. Nearby Popular Shopping, School and Park means Your Home has Location, Location, Location! Size, Location and Value! Directions:North on High School Rd from Crawfordsville Rd to Hollister Drive (4th street on right). East (right turn) onto Hollister to Maren Drive. Home is on the right corner. SchoolsClick map icons below to view information for schools near 6233 Maren Drive Speedway, IN 46224. Listing provided courtesy of Templeton Realty. Home for sale at 6233 Maren Drive Speedway, IN 46224. Description: The property at 6233 Maren Drive Speedway, IN 46224 in Marion county with the BLC / MLS 21606274 is currently listed for $145,900 and has been on this site for 163 days. You are viewing the MIBOR listing details of the property for sale at 6233 Maren Drive Speedway, IN 46224, which features 3 bedrooms and 3 bathrooms, and is approximately 2616 sq.ft. in size.